Keep your LBTN current with twice yearly Updates. Get replacement pages before changes go into in effect in January and July. In California, changes are made to codes, rules, and forms every January and every July. 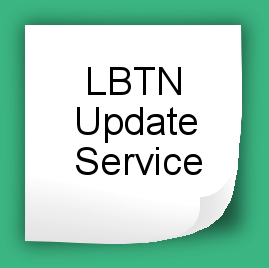 The LBTN Update Service provides a cost-effective, hassle-free way to incorporate those changes into your copy of LBTN. Twice yearly, before the changes go into effect, you’ll get replacement pages along with a memo highlighting the changes. By subscribing, you ensure that your LBTN remains as up-to-date as it was on the date of your initial purchase. Your credit card will be billed automatically. We can change that to manual billing upon your request once you subscribe.